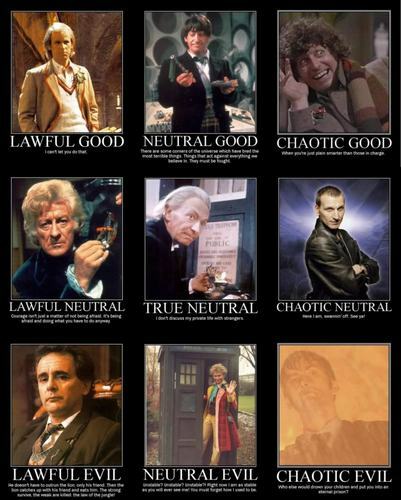 Good, Neutral, Evil Doctors ranks. . HD Wallpaper and background images in the डॉक्टर हू club tagged: doctor who william hartnell patrick troughton jon pertwee tom baker peter davison colin baker sylvester mccoy christopher eccleston david tennant. This डॉक्टर हू photo might contain रंगीन काँच and सना हुआ ग्लास विंडो.